Any in-flight refreshments or light-snacks? Duty Free? 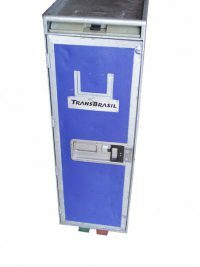 Now you can play air-steward/ess all day long with our authentic airplane trolley! Bohemian Painted Metal Suitcase for hire. 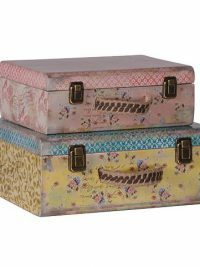 Suitable for any Travel, Festival or Boho themed party night or event, our distressed metal suitcases will give your themed event the dressing and decor required to help create a fantastic look. These suitcases open and have a lovely vintage hand painted finish, each with a slightly different design. Please note that the price quoted is per suitcase and that each suitcase varies in design and size and is rustic and distressed in nature. It is not possible for you to specify a particular design. Brass Luggage Trolley for hire. 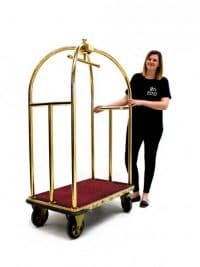 This beautiful authentic brass luggage trolley will look fantastic at your event to help create fabulous theming for many different themes, from 1920s to Vintage Travel. The trolley is hired on its own but will look great with some of our vintage travel luggage piled on it (as pictured and below), which is available to hire separately. Distressed Tin Trunk for hire. This is a vintage looking prop that will add authenticity to your Steam Punk or Industrial theme, or simply a touch of vintage to your event. 3 Set of Fashion Boxes to hire. Perfect finishing touches for any fashion, 1920s or Parisien themed event party. 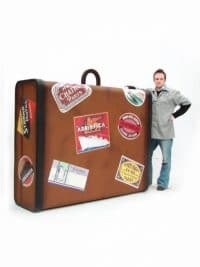 Giant Vintage Suitcase Prop to hire as used by Sir Richard Branson! Perfect for any Travel themed event party.This giant prop to hire is of one piece construction and comes adorned with vintage travel stickers for added period authenticity. You can view more of our vintage travel themed props here. Leather Hat Box to hire. 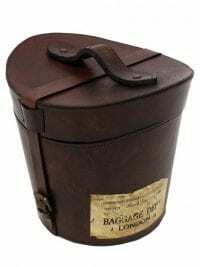 This is a beautiful vintage look brown leather hat box and would be the perfect filler item for any number of themed events including Fashion, Victorian or Vintage Travel. 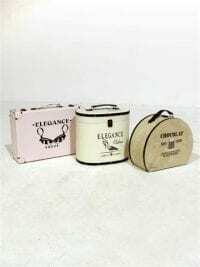 Suitable for any travel or vintage themed party night or event, our vintage set of mini cases will give your themed event some true authenticity. Please note that the price quoted is per set of two and the size quoted is for the larger piece. Porter's Luggage Trolley for hire. 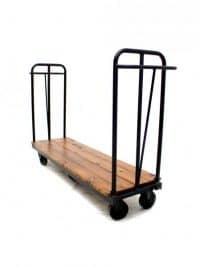 This gorgeous authentic luggage trolley will look fantastic at your event to help create fabulous theming for many different themes, from 1920s to Vintage Travel. The trolley is hired on its own but will look great with some of our vintage travel luggage piled on it (as pictured) which is available to hire separately. Please note that the luggage pictured is shown for inspiration purposes only but is available to hire separately. 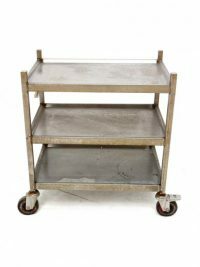 This slightly aged looking trolley would be great for any medical or Halloween themed event. Why not dress it with al manner of items to really set the scene! Vintage Travel Luggage (Set of 5) to hire. 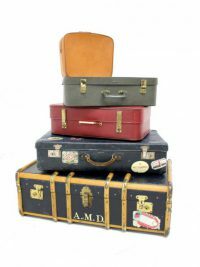 Suitable for any travel themed party night or event, our vintage, retro style travel luggage will give your themed event the dressing, decor & theming required to blow the competition away! Rental cost is for a mixed set of 5 pieces comprising one trunk, three suitcases and one vanity/small case. Why not also hire our Brass Luggage Trolley (pictured opposite) and set off our Vintage Travel Luggage in style?! 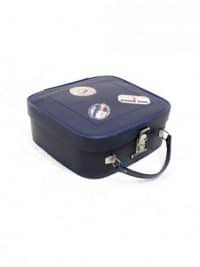 Please note that the luggage you receive may vary in design from that shown as we have a number of different styles in stock and that sizes do vary. Some also have vintage style travel labels on them. Vintage Travel Luggage to hire. 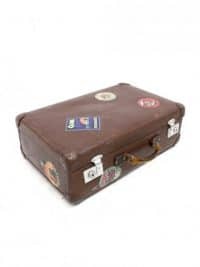 Please note that the order quantity & price quoted is per piece of luggage, that the luggage you receive may vary in design from that shown as we have a number of different styles in stock and that sizes do vary. Some also have vintage style travel labels on them. Old Style Vintage Travel Trunk (single piece) to hire. 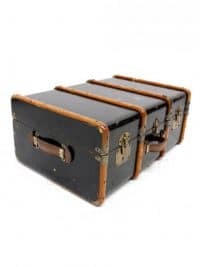 Suitable for any travel themed party night or event, our vintage, retro style travel trunks will give your themed event the dressing, decor & theming required to blow the competition away! 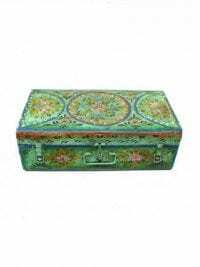 Please note that the order quantity & price quoted is per trunk, that the trunk you receive may vary in design from that shown as we have a number of different styles in stock and that sizes do vary. Some also have vintage style travel labels on them. Vintage Vanity Case/Small Case to hire. Please note that the order quantity & price quoted is per item of luggage, that the item you receive may vary in design from that shown as we have a number of different styles in stock and that sizes do vary. Some also have vintage style travel labels on them.